Queen Elizabeth may be turning 90 this week, but no one can accuse Her Majesty of not keeping up with the times. The official Web site of the British Monarchy has posted a job vacancy for a "head of digital engagement," which The Independent reported early Wednesday. Among other things, the new hire will be expected to make sure the Monarchy's "digital channels consistently spark interest and reach a range of audiences." "With an eye to the future, you'll work to hone and shape our digital communications through sharing best practice, understanding new technologies and stimulating creativity," the job posting says. The position requires 37.5 hours of work a week and will pay between £45,000 and £50,000 ($65,000 and $72,000) a year, depending on experience. 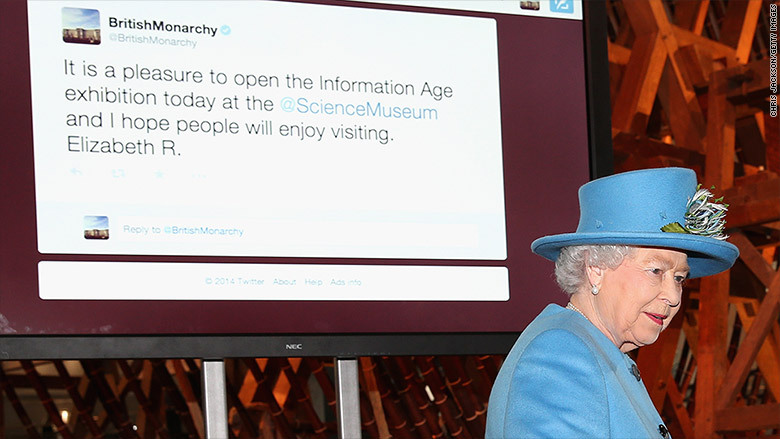 Her Majesty is no stranger to social media. She issued her first tweet in 2014, and signed it "Elizabeth R." -- the "R" being for Regina, which means "queen" in Latin.